The documentary "Getting to the Nutcracker" was inspired by a book published in 1976 by Jill Krementz titled "A Very Young Dancer". 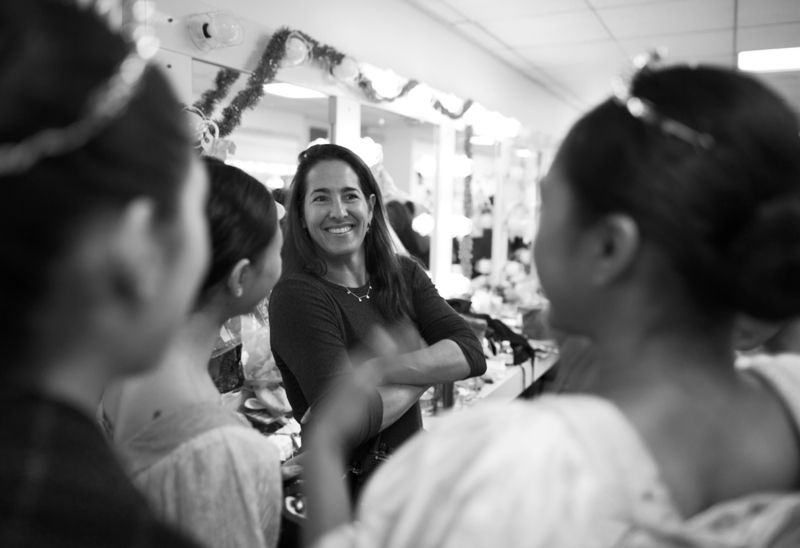 The book followed students at The School of American Ballet (SAB) from auditions through to performance of The Nutcracker Ballet with New York City Ballet. Serene was a student at SAB at this time. After leaving SAB, she danced at Melissa Hayden's and The Alvin Ailey School. She attended the University of Vermont where she performed with the Main Street Dance Theater. A love of photography was enhanced by darkroom and printing courses at the university, and has continued to be a passion ever since. After college, Serene worked as a producer of television commercials in both New York City and Los Angeles until she produced children with husband Ray. They live in Santa Monica, California, with three kids, two dogs, an African skink and two pet rats. Serene continues to dance as much as humanly possible.